This condominium is a spacious studio with a large sleeping alcove. The property has been tastefully updated with new carpet and window treatments. The living room has a marble gas fireplace. The unit has a private enclosed patio. The kitchen has been remodeled and has new stainless steel appliances. The bathroom has been updated with marble tiles. There is a walk-in closet customized by Closets by Design. 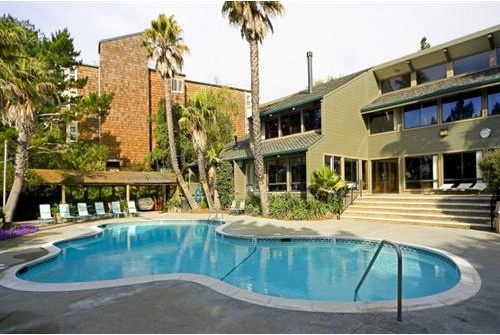 The condominium complex has a heated pool, spa, gym, and clubhouse. This lovely home is located close to the Diamond Heights shopping center and is close to public transportation.